As air conditioning units age, they lose their efficiency. When your A/C unit starts to become inefficient, it is time to think about replacing it. An inefficient systems will struggle to keep your air cool and home comfortable. The quality of the air can also diminish. Finally, when repairs become a regular occurrence, it is time for an air conditioning system replacement. an air conditioner that runs poorly. These systems are quite complex. This is why technicians receive training specific to heating and cooling installation and repair. Once they have received adequate training, a good technician still needs years of experience in the field, dealing with real life situations. Therefore, it is important to ensure that your technician is not only certified, but experienced. Only an experienced technician has all the knowledge and training needed to install the correct system for your home. An experienced technician is also vital when making repairs and checkups. The experienced HVAC contractor can actually suggest repairs to improve efficiency as well as foresee potential future problems. In this article, we will discuss the importance of seeking a 2nd opinion air conditioning replacement in Miami FL. 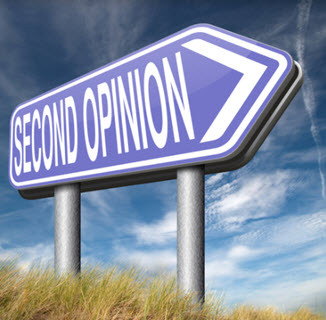 Why Seek A 2nd Opinion? If you still question the diagnosis or repair suggested by a technician, seek a second opinion. Getting another opinion, on a costly repair or replacement, is always prudent, no matter what. Just like you would get a second opinion for your health before getting an operation, get a second opinion before replacing your AC unit. It is your investment and, therefore, your right to seek the advice of another professional before you spend the money. This is even more true if you believe your unit has more life before replacing. Not all problems with your air conditioning unit require replacement. In some cases a small repair can fix a problem that is rendering your unit defunct. Do not be fooled into replacing a unit that only needs a new thermostat or equally small repair. If you are not certain of the diagnosis you receive, simply call another HVAC service company. Once you are certain of the issue, find a technician that will give you more than one solution. Sometimes, a problem only has one fix. However, often enough, when it comes to heating and cooling systems, you have more than one solution. In some cases, you can utilize a quick fix repair to buy some time before a more costly repair or replacement is necessary. Although this is not cost effective, a reputable HVAC contractor will present all of your options and then offer you their recommendation. Do not let any technician pressure you into making a repair or replacement that you cannot afford or do not necessarily need. Take your time, if you can, to choose a company to replace or repair your unit. If you have determined the issue without a doubt, take the time to shop around for the best price. Call a few well-known companies and compare the price for the needed repair. This is the best way to be sure that you are not overpaying for the service. Any reputable company will understand your desire to shop around and they will respect that choice. If you know you must replace your A/C system, get several quotes before purchasing. 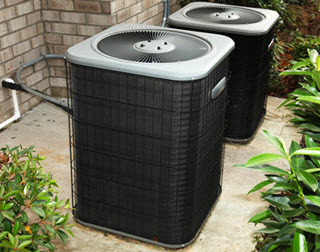 Most air conditioner units must be the right size to accommodate the needs of your home. Getting several quotes can help you verify the good target price as well as the appropriate equipment needed. Dishonest companies will try to soak the prices of both the service and the equipment. Do not be fooled by the size of a company. The best way to determine the best company is to compare. One might provide a better deal , but give poor service. Be sure that the company you choose marries great service, knowledge, and quality equipment. Replacing the AC unit in your home is a hefty investment. It is a piece of equipment that should last for years. In order to ensure that you get the correct return on the investment for the life of the unit, use a reputable HVAC company. They will utilize the right type and size of air conditioner appropriate for your home and your budget. When you need an AC replacement or a second opinion for your AC replacement, contact Result Home Services. Our NATE certified technicians will advise you on finding the correct cooling system for your home. Also, if you are seeking another opinion, they will properly diagnose your system and present all of the available options. They will make recommendations that incorporate energy efficiency, comfort, improved indoor air quality, all while staying within your budget. Call today to schedule a free estimate.